Reblogged this on Straight from the Horse's Heart. Thank you Patrick. I don’t consider this, your recent post “hammering away.” Your writing style is powerful, esp with your credible death and/or killing statistics included. I hope you continue hammering away…after all the “thing needs to be pressed” right? Patrick a very well written article – very sad but definitely a totally true version of what is taking place at the race tracks. I agree with you that the media needs to get involved in this torture and not on only the version of the drug issue – there are many other serious issues here that need to be dealt with and should have already been done so. 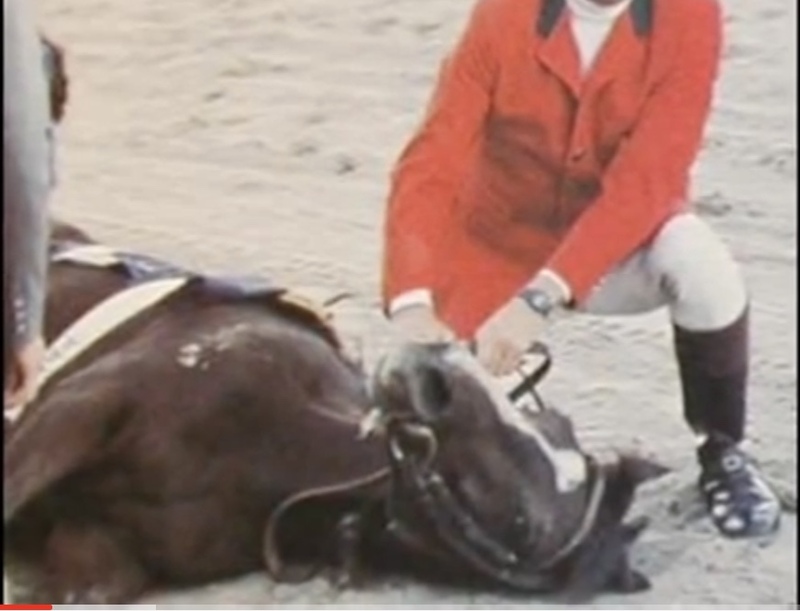 This is a tragic situation at the race tracks and the total lack of concern for the lives of these poor horses and their horrible deaths. These owners and trainers are all about the money and nothing about the proper training. I can not believe how young these poor animals are “started” and I just shutter every time I read about one of these horrible deaths. Who in the hell would start an 18 month old colt to the race track – God Almighty this is just unbelievable and so incredibly horrific. There is a saying that people need to stop and think about – “Horses are God’s way of apologizing for men.” Humans are the worst abusers of all in this whole sad world. Patrick, it’s only this vile business that is hammering away racehorse’s lives on a daily basis not the facts that expose these horrific tragedies. Furthermore, just these 3 years alone clearly shows that it had nothing to do with the track surface or Lasix. Although I think Lasix is a huge contributing factor to their demise I also think that Lasix plays a huge role in the corruption that seems so prevalent in this business. Everybody should be trying to shut this business down and that includes PETA. I’m shocked and disappointed that PETA, one of the largest animal rights groups in the world, is not busy garnering signatures to reach the 600,000 required to shut this death ring down in California. I get and sign petitions from PETA all the time in my email Inbox. They have the members, they have the resources, they can reach probably 50% of the required 600,000 California resident signatures by just clicking a button that drops the petition in their email like I always get. So what in the hell is taking them so long to be more progressive? This just blows me away – did they get a donation or something to placate this horror show? Well Kathy, take it from me, when you side with the devil only evil results happen as we see here. It’s back to “business as usual” and the only positive thing that PETA has done is to ensure that a criminal investigation for animal cruelty charges is pursued. I can tell you right now, from being in this business, I bet you that all the owners/trainer are laughing their heads-off back in the stable area at Belinda Stronach while they are getting their horses doped up with SWT. This business needs to shut down because it doesn’t matter what they do it won’t change the rudimentary facts of this business: money over the welfare of their “family members” which results in racehorses dying. And ANOTHER (baby) horse is off the “Kentucky Derby trail” – injured at Santa Anita while training this past Sunday, Gunmetal Gray suffered a condylar fracture (the colt was said to be in surgery Sunday afternoon).